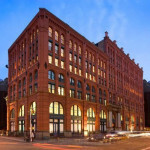 There’s been plenty of talk about the luxurious penthouses that top off the historic Puck Building. But just below these spectacular homes is an equally stunning space that’s sure to take your breath away—or at least get your stomach rumbling. 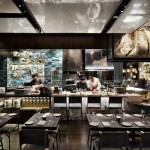 Archdaily brings us on a tour of the Chefs Club, a brand new dining experience dreamt up by the folks over at Food & Wine magazine. 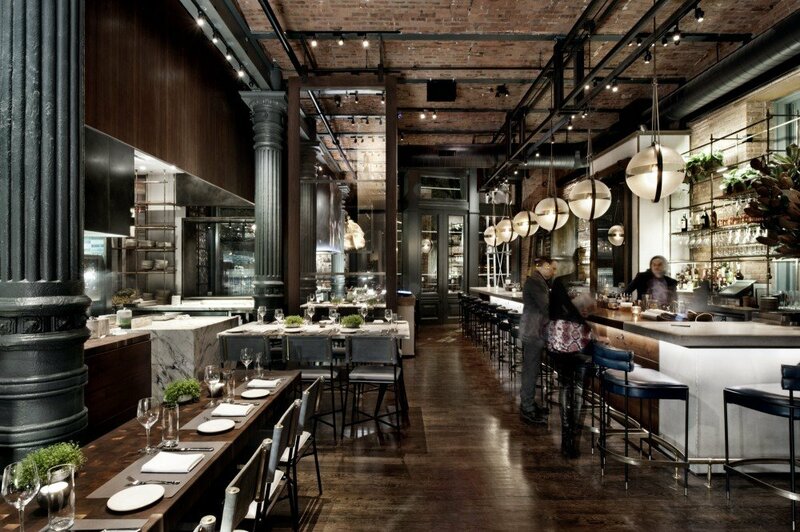 The sleek eatery opened just last fall to rave reviews, and it’s no surprise; the Chefs Club by Food & Wine is exactly what you’d hope it is: the magazine’s “Best New Chefs” and an international roster of rockstar cooks whipping up meals unlike any you’ve had before. 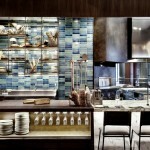 The interiors are the work of the Rockwell Group who wanted to break down the boundaries between the chef and guests. 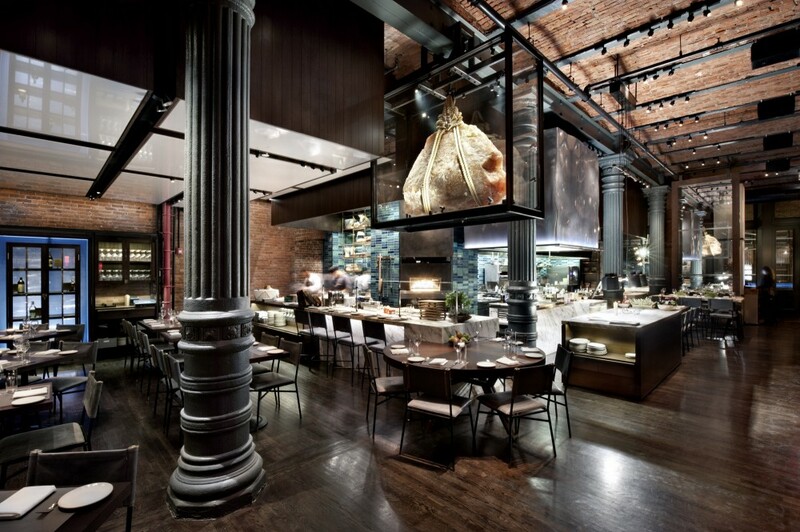 The restaurant features a sprawling 4,000-square-foot dining space that has been divided up into a bar/lounge, a main dining room, an open studio kitchen and a private dining room for special events. The interior palette is subdued and sophisticated, employing simple and organic materials such as walnut, raw concrete, leather and blackened steel. 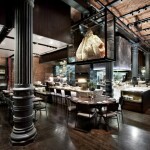 The materials were chosen to complement the existing interior architecture and the historic nature of the building. 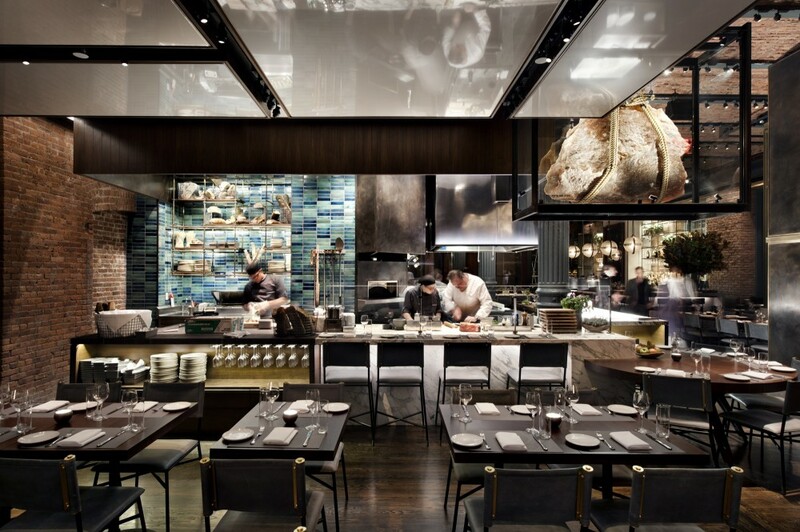 Several vitrine cases with blackened steel frames and glass panels are located throughout the space, and various walls feature revolving art that’s been curated to capture “the mind of the chef” currently in residence. 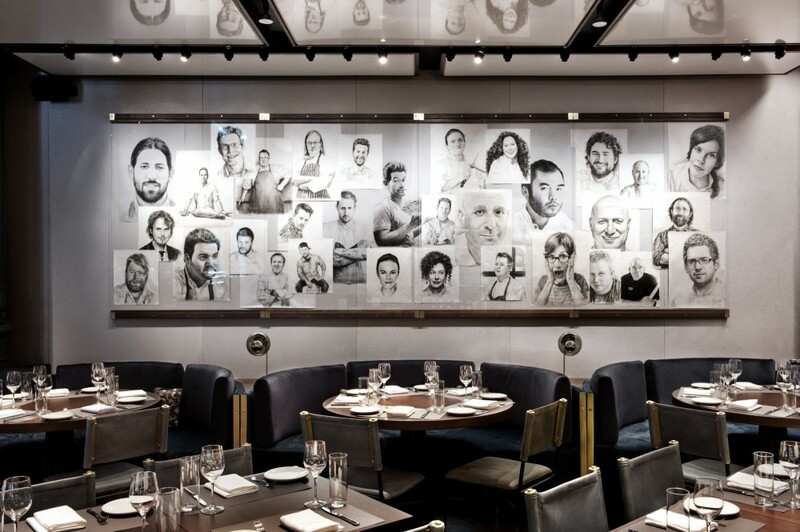 Seen above is a close-up of the “wall of chefs” featuring the international food stars that have graced the restaurant’s kitchen and the magazine’s pages. 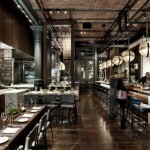 We’re so completely enamored with the interiors we could almost forget about the menu. 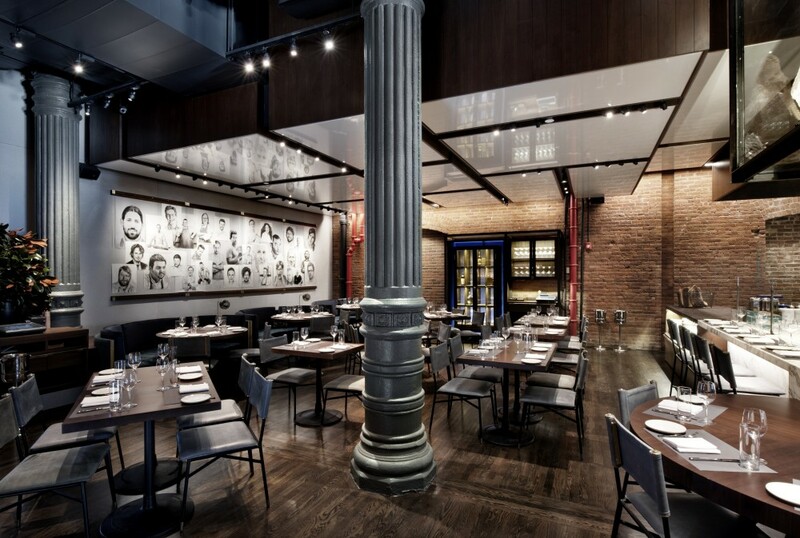 Whether you’re hungry for an intimate dining experience or want to see one of Food & Wine‘s lauded chefs in action, pay the locale at 295 Lafayette Street a visit. 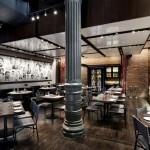 And while you wait for your reservation check out more interior photos over at Archdaily, here.